Formed in 1959, Boydengroup is one of the leading construction consultants in the UK. Boydengroup approached us when they were looking to redevelop their existing website, as they felt that it wasn’t flexible enough to meet the needs of their business. The main aim for the site was to showcase the projects that they were involved in, meaning it was important to make it scalable and easily to adaptable with their continued growth. 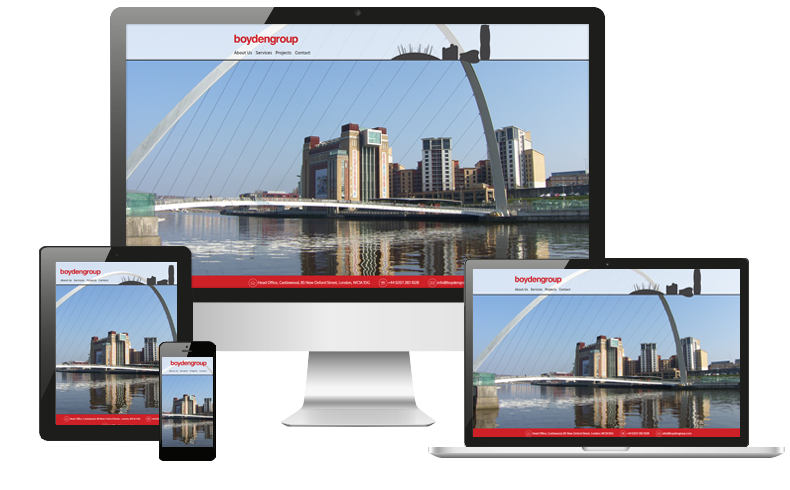 The fully responsive website was developed using WordPress as this would give the Boydongroup the ability to quickly add new content and pages as they work on new projects. As the main focus of the website was the projects that they had been involved in we designed the site using large background images that they could upload themselves on a per page basis within the content management system.